Assembly Judiciary Committee Chairman William Horne (D-Clark County) is threatening to screw around with Nevada’s gun laws in response to the Carson City IHOP shooting in September at which four people, including three Nevada National Guard members, were killed by a mentally ill man. Alas, the Constitution isn’t about “needs,” Assemblyman. It’s about rights. But the short answer to your question as to why a typical citizen might “need” an assault weapon: Because the bad guys have them! As the character Ramon Rojo explained to Clint Eastwood in A Fistful of Dollars, “When a man with .45 meets a man with a rifle, the man with a pistol will be a dead man.” And that’s probably usually true. Of course, Hollywood being Hollywood, Eastwood’s character turned that old Mexican proverb on its head. But for the rest of us in real life, the reality is that the bad guys will always be able to get hold of assault weapons if they really want to get hold of assault weapons. And if, God forbid, the time ever comes that the “typical citizen” comes face-to-face with a bad guy bearing an assault weapon, they’ll have a better chance not ending up dead if they’re not armed with a pea shooter…or worse, unarmed completely. And speaking of victim disarmament: Thank you very much, Assemblyman Horne! As you may recall, a young woman named Amanda Collins was brutally raped in a University of Nevada, Reno (UNR) parking garage in 2007 by convicted murderer James Biela. Collins had no chance to defend herself – even though she was a concealed weapons permit holder – thanks to state laws prohibiting her from carrying her properly licensed handgun on campus. She was a sitting duck for Biela. In response, a bi-partisan bill (SB-231) was introduced in the Nevada Legislature in 2011 – The Amanda Collins Act – which would have allowed CCW holders to carry their weapons on campus to give students and others a fighting chance against predators such as Biela. 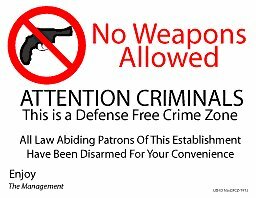 The bill passed the Senate, with only six victim disarmament state senators – Steven Horsford, Shirley Breeden, Ruben Kihuen, Sheila Leslie, Mike Schneider and Valerie Weiner – voting to continue giving rapists and murderers the upper hand in dark corners of Nevada’s college campuses. The bill was then sent over to Horne’s Judiciary Committee where it was – and I think this is the official legislative term for the process – sh*t-canned. Indeed, Horne – despite what appeared to be overwhelming support for the bill in the state Assembly – not only refused to allow a vote on the bill, he refused to even allow the bill to come up for a hearing. “I don’t believe the votes are there and I certainly don’t think they are there on the floor,” His Omnipotence declared, unilaterally and single-handedly killing a bill that would have made it tougher for killers to kill Nevadans on campus. If anyone ought to be disarmed, it should be William Horne. And if anyone really wants to use the IHOP tragedy to change the gun laws, then they should change the gun laws to allow trained, uniformed National Guardsmen to wear their side arms when out in public. Uniformed members of our armed forces are clearly targets, especially in this day and age of terrorist attacks and plots on American soil. Shouldn’t highly-trained soldiers be allowed to shoot back and defend themselves….not to mention us?